Just fill out our Exhibitor Package Selection Form to secure your spot! Sign up before October 29th and receive a free entry for one product in the Last Gadget Standing competition at CES! To download a one-page overview, click on the image below. At getgeeked San Francisco, you can meet with the press and get passionate, hard-to-reach tech lovers excited about your products heading into the all-important holiday selling season. Our unique two-day format allows you to effectively communicate with each audience and our focus on helping you create buzz that reaches beyond the show and content that you can share after the event will help you address more of the difficult challenges you’re facing today than a traditional, press-only, tech industry media event ever could. This year, our exhibitors will have two chances to meet with the press – at an exclusive press event on the first night and again at a press luncheon on the second afternoon. 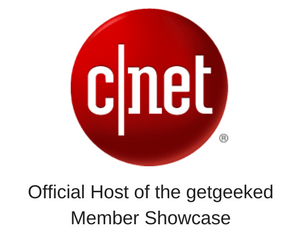 For the second consecutive year, CNET will serve as the Official Host of the getgeeked San Francisco Enthusiast Showcase on night two of the event. The CNET Lounge will serve as their headquarters at the show but they’ll have roving reporters live streaming what they see to their social media followers too. With our a la carte exhibitor packages, you can be part of getgeeked San Francisco for as little as $3500 or invest a little more and take advantage of a host of exciting branding and marketing opportunities. From our unique format to our a la carte exhibitor packages to our virtual shopping zone, enhanced exhibitor listings, social media contests, live streamed programming, and post-event Buying Guides featuring social content generated by our attendees, getgeeked San Francisco is the tech industry media reinvented. getgeeked San Francisco is where innovation and influence meet! Read this blog post to learn why getgeeked San Francisco will be our best event yet. Check out this chart to see how our events stack up against other tech industry media events. Visit our Attendee Overview page to learn more about who attends our events. Click here to see past press lists and attendee surveys. See our testimonials to learn what your competitors are saying about our events. View photos, videos, and attendee-generated social media content from our past events. Read getgeeked Media in Forbes, The Huffington Post, and TWICE. Learn about the “5 Cs” that are the foundation for our events.